Bournemouth – seven miles of golden sand from Hengistbury Head to Sandbanks, overlooking Poole Bay and the Isle of Wight. A sight to behold on a beautiful summer's day. Pleasant winding walks up or down the Chines with lovely views over the bay. Alum Chine in particular. The Pleasure Gardens provide attractive shady walks in both summer and winter along the Bourne as it wends its way to the sea. Or walk in the Winter Gardens among the lawns, trees and colourful flower beds in all its seasons. Perhaps play miniature golf. The Upper Gardens hold the Tree Trail – a boardwalk around a wet meadow with wild flowers. Arguably best in Spring. 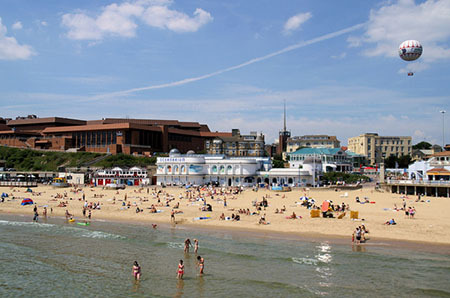 An attractive idea for visitors is the beach hut – and what a delightful idea that is in Bournemouth. A home from home on the beach – well at least during the day. They are booked out early so get in quickly. There are several really lovely sandy beaches in Bournemouth and it would be very hard indeed to pick a favourite. The central beaches are perhaps the best known with the pier striding out to the sea. Boat trips run from the pier. The Oceanarium is in this area. At the end of the pier you will find the RockReef Activity Centre and its climbing challenges. 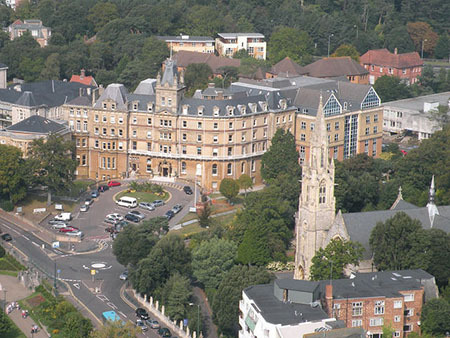 Westbourne with the attractive Alum Chine is a delight. If you want to combine the beach with some shopping, Westbourne itself is a good spot with eateries as well. Robert Louis Stevenson is a famous resident. Durley Chine Beach, this one is a kids favourite! Ice Cream, sun, sand, sea!!! A Blue Flag beach which certainly says a lot. Boscombe. Take the children down the walk to the beach through gardens where grey squirrels will greet you with delight hoping you have nuts for them. The beach has a Coastal Activity Centre where there are lots of sports and stunning views! Southbourne, an old favourite and another Blue Flag beach ideal for kids. There is a lift to the top of the cliff. Plenty of Accommodation is available of all types. The city is one of the most popular on the south coast so best to book early for summer breaks! Definitely!! Perhaps you fancy a pretty cottage in the lovely Dorset countryside, believe me Dorset is beautiful, then you could try here where you will be spoiled for choice! We all run late at times!! For that special last minute break, there are some pretty attractive places and bargains here. A very good place to search at any time anyway!!! The city has been a popular holiday destination for over a century and so access is very good. by road, rail and air. Road and rail transport can be found at the Bournemouth Travel Interchange where there is also a bus to the airport. The railway station is adjacent with links to London, the rest of Wessex as well as the rest of the country. National Express coaches are available at the interchange. Local buses run to all parts of the city and the surrounding area. Hire cars and Taxis can be easily found. The Russell Cotes Museum has stunning views of the bay. Good spot for the very hot day! It started life as one of the big Victorian houses on the cliff top, home of Sir Merton and Lady Russell-Cotes. Now it houses a fascinating museum and art gallery. Entry is free. A really good view is from the Bournemouth Eye, a giant helium balloon with room in the gondola for 20 to 30 passengers. It is firmly tethered so there is no chance of finding yourself crossing to the Isle of Wight. Soars 500 ft above the town and the beach. Views for 20 miles along the coast – breathtaking. There are illuminated night flights too for the romantically inclined. For a fascinating aquatic experience the Oceanarium is a must. Under the sea creatures from all over the world, eight different areas from the Great Barrier Reef to the Amazon via Africa. The most intriguing exhibit is the Interactive Dive Cage – absorbing, mesmerising, captivating. Allow a while for this one – partlcularly if you have the children with you! One excellent idea for a wet day on the holiday. Cruises are available from Bournemouth Poole and Swanage. A wild life cruise along the Jurrassic Coast perhaps. For the wilder spirit what about a jet boat ride to boost the adrenalin. Europe's first artificial reef at Boscombe. After many delays, opening and reopening it was finally opened in April 2014. It adds to the surfing pleasures of the area. Part of the regeneration to liven up the pier section of Boscombe beach. 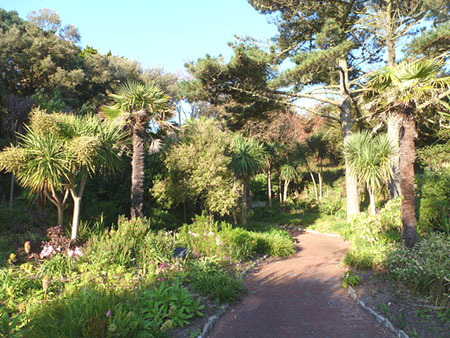 Try the walk down to Boscombe beach through the gardens and feed the squirrels on the way. Great fun, they will even look in your pocket! The Bournemouth Symphony Orchestra is one of the most famous in the world and is based in Poole. A settlement of any kind did not exist at the mouth of the pretty Bourne River 200 years ago. The area was coastal, marsh and heathland frequented by swirling, calling sea birds. Known to fisherman and the odd turf cutter it was an isolated expanse. That very isolation was attractive to smugglers in the 1500's - and later as they got their contraband ashore away from the eyes of the coast guards. Decoy Pond House was where the Square is now and gives clues to the type of hunting that went on during the Tudor period and beyond. Decoy Ponds were popular in Dorset. These rectangular shallow ponds were created with curving ditches leading from them. Wildflowl were lured to the pond and netted in the ditches. Where they can be recognised Decoy ponds are field monuments but nothing is left of this one because of the development of the area. Enclosure Acts changed the character of the local land and private holdings appeared. Three men can be said to have created the town as we know it today. Its first residents in 1812, Lewis Tregonwell and his wife, Sir George William Tapps-Gervis whose father originally sold land to Lewis Tregonwell and Augustus Granville who was a physician and author of a book called “The Spas of England”. Lewis Tregonwell's military service had seen him as an officer in the region defending the coast against Napoleon. He and his wife loved the area and the summer home he built still exists as part of a hotel. Tregonwell was a man of his times and saw the possibilities of the area – it could be another resort like others on the coast. He built villas to let out for holidays. With Sir George William Tapps-Gervis he planted pine trees – sea bathing and pine trees were seen at the time as health reviving elements. Tregonwell died at the age of 74 and by that time the town was a small settlement. 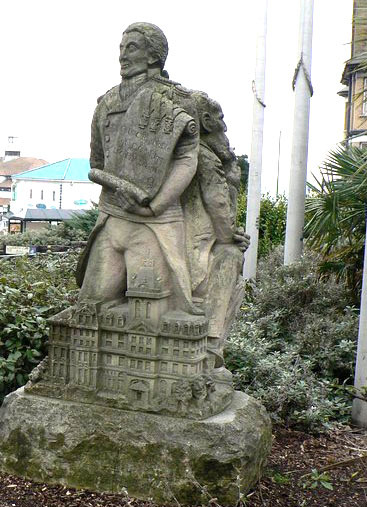 He is known as the founder of Bournemouth. Sir George William Tapps-Gervis inherited his father's estate and the town begain to expand. His vision built on that of Lewis Tregonwell and he commissioned an architect, Benjamin Ferrey to build him a resort like others on the coast. In 1837 his vision began. It was Dr Augustus Granville who made the town popular. He recommended Bournemouth in the second edition of his book "The Spas of England". The visitors came. Gardens were laid out – The Pleasure Gardens and the Winter Gardens. The former were firstly privately owned. The latter were laid out in 1875. The famous pier followed in 1880. The railway made the resort accessible to all and increased both the residential and the tourist population. During the 20th century the town became a popular holiday resort for the Midland industrial areas and for London. Originally the area was in the county of Hampshire but with the changes of county boundaries it went to Dorset . These days it is a unitary authority and not answerable to Dorset although geographically part of the county. It has the county's largest population. Or you might prefer to browse some more, please do. You will find navigation buttons above and on the left. The beach at Bournemouth seen from the cliffs. Photograph by Christophe Finot July 2006.